Performance-wise, the Dutch power-generating bike path, SolaRoad, has overshot expectations, generating upwards of 3,000 kilowatts of power in the six months since its launch. 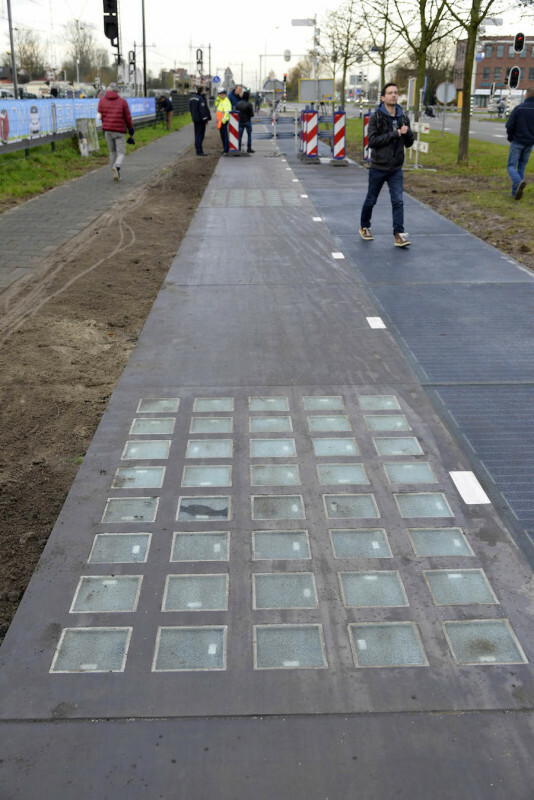 The 230-foot concrete strip is located in Krommenie, a village northwest of Amsterdam, and is undergoing a three-year pilot test for material feasibility. The wattage generated in the first six months, according to SolaRoad, suffices to power a one-person household for a whole year. 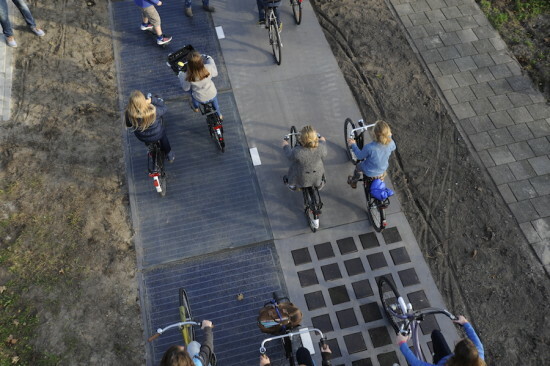 Based on this track record, the bike path is expected to generate 70 kilowatt hours per square meter per year (approximately 22,189 kilowatt hours per square meter per year), close to the upper limit predicted in lab tests. “We did not expect a yield as high as this so quickly,” Sten De Wit, spokesman for SolaRoad, said in a statement. However, tests have shown that significant temperature fluctuations cause the glass coating to shrink, so that parts of it peel away in the winter and early spring. The coating has since been repaired, and engineers are in the “advanced stage” of developing an improved top layer. 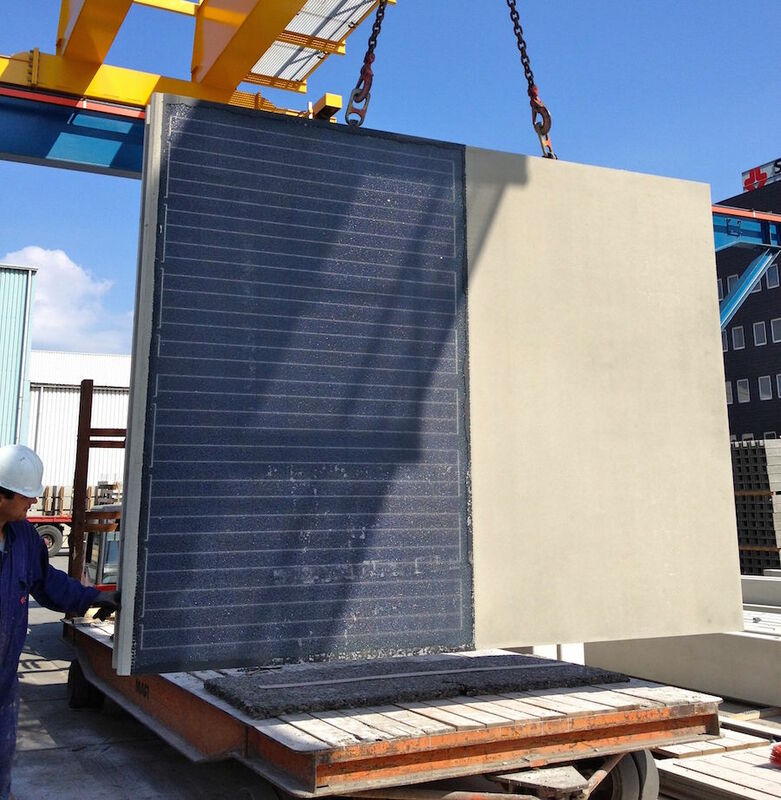 The 3-year pilot project, costing around $3.8 million, is a public-private partnership between the Dutch province of Noord Hoolland and engineering firms TNO, Ooms Civiel, and Imtech. Closer to home, Idaho inventors Scott and Julie Brusaw have their own iteration of power-generating roads, called Solar Roadways. The Brusaws are building a prototype parking lot in their headquarters featuring 108 panels to test their efficacy in the face of vehicle-imposed wear-and-tear. The hexagonal panels are designed for roads, driveways, parking lots, bike trails, and eventually, highways, and have already courted $850,000 in seed funding from the federal government and an additional $2 million from crowdfunding website Indiegogo.